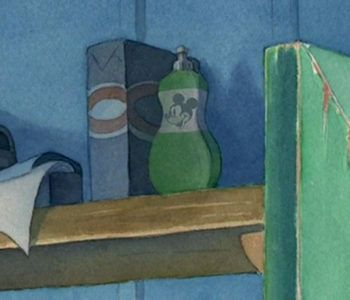 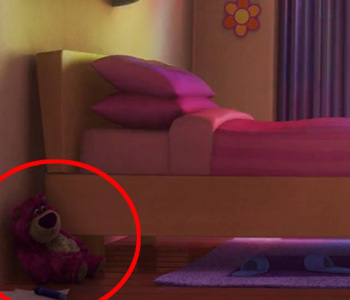 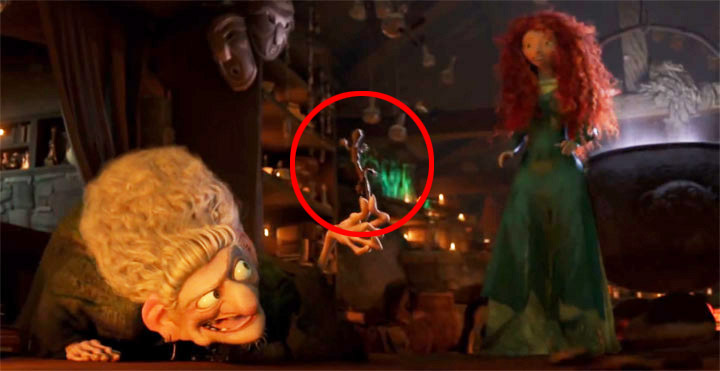 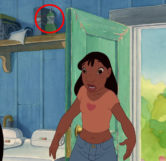 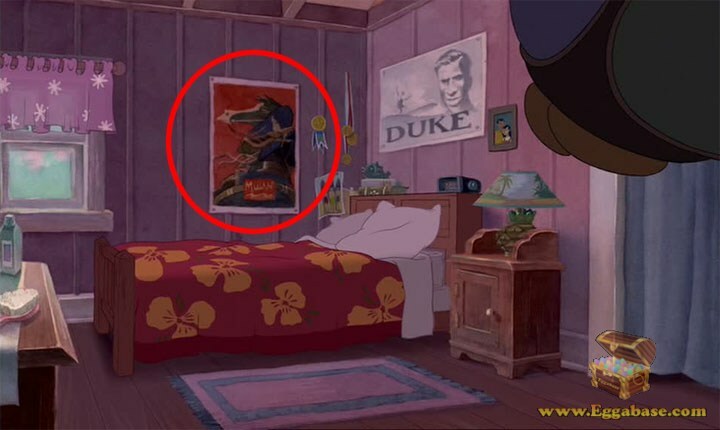 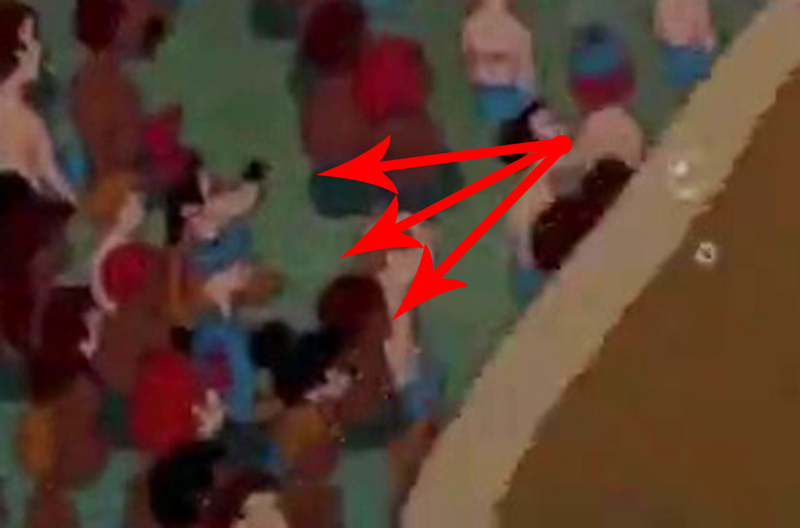 Hidden Mickeys are Mickey Mouse heads that are traditionally hidden at least once in all Disney movies. 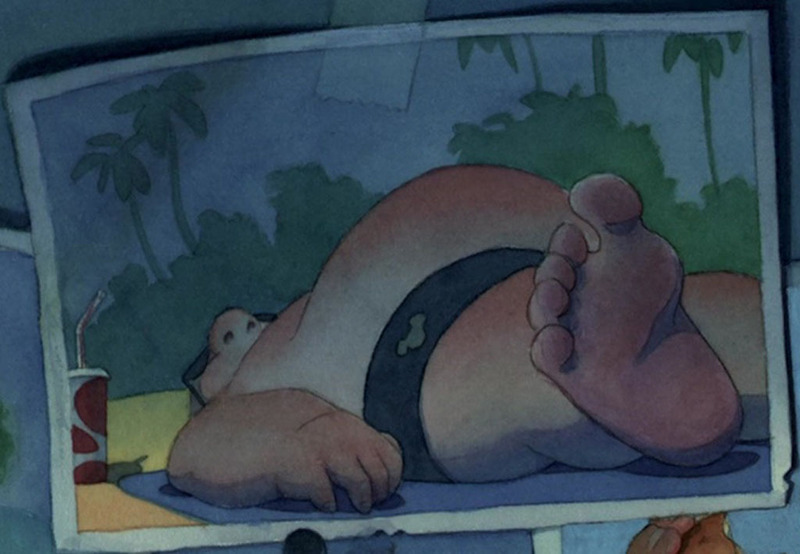 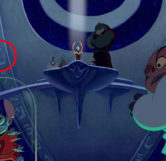 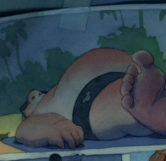 During the trial of Jumba and Stitch, when Stitch is first shown to the court a hidden mickey head can be seen on the left side of Jumba’s platform in the form of green buttons. 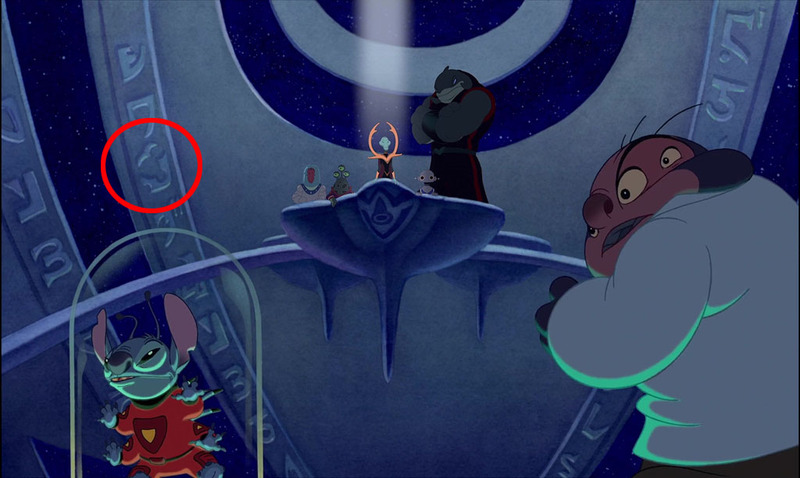 In the beginning of the movie during the trial of Jumba and Stitch, a mickey mouse head can be seen on the left side of the screen in one of the scenes showing the United Galactic Federation council. 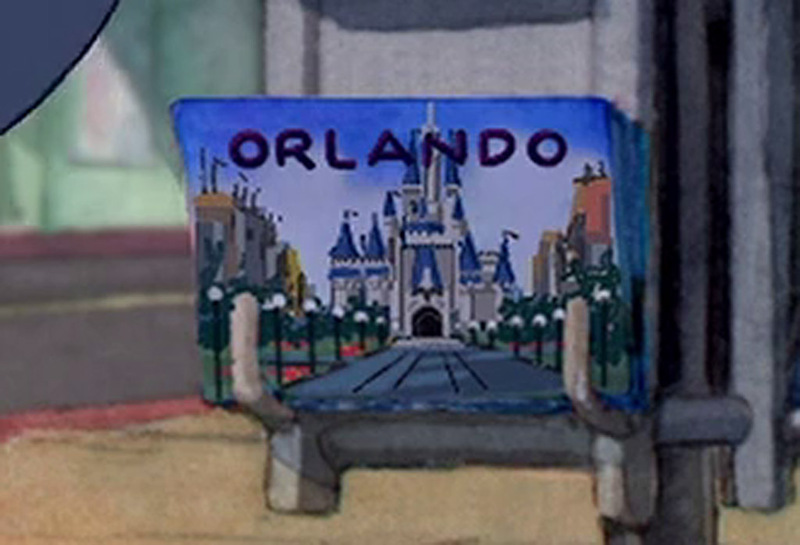 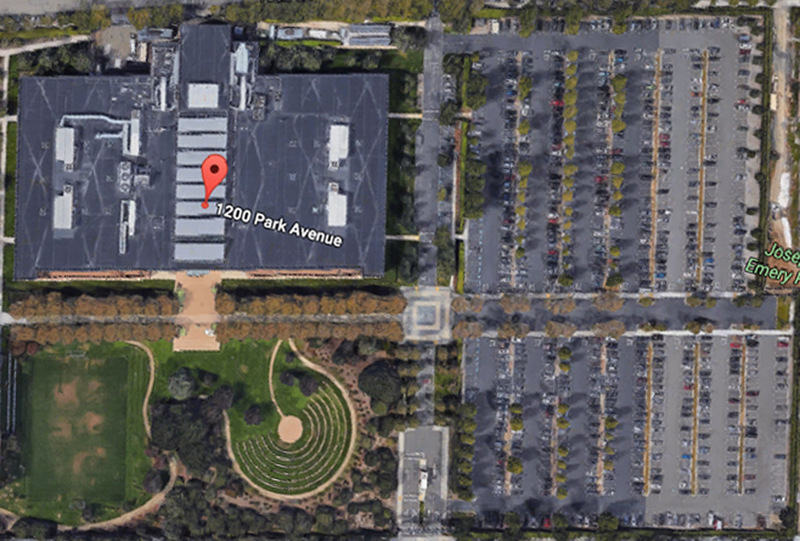 To see this mickey you’ll need to pay attention as the glyphs change every time the council is shown. 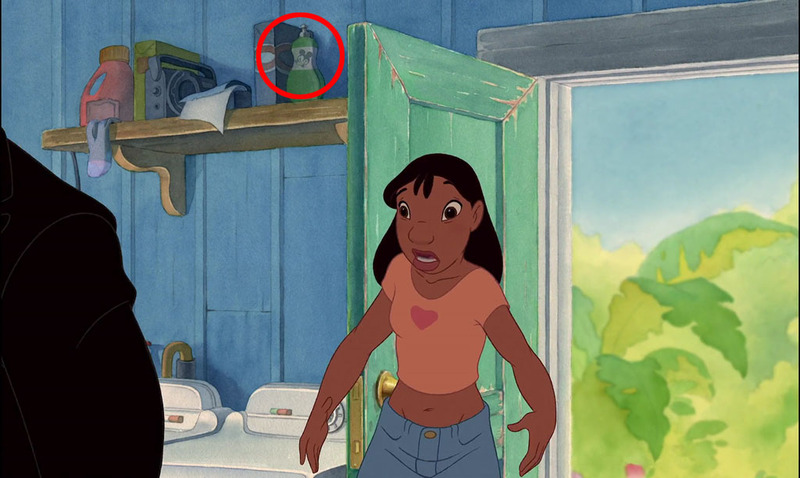 When Nani finally let’s Mr. 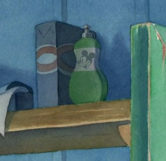 Bubbles into the house during his first visit, on a shelf to the left of the door is a bottle of soap with a fully drawn Mickey Mouse head on it. 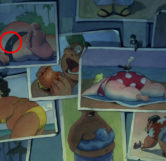 When Lilo and Nani make up after their fight over Mr. Bubbles’ visit, they’re sitting on the bed and Lilo tells Nani her camera needs to be refilled before showing her pictures of people on the beach. 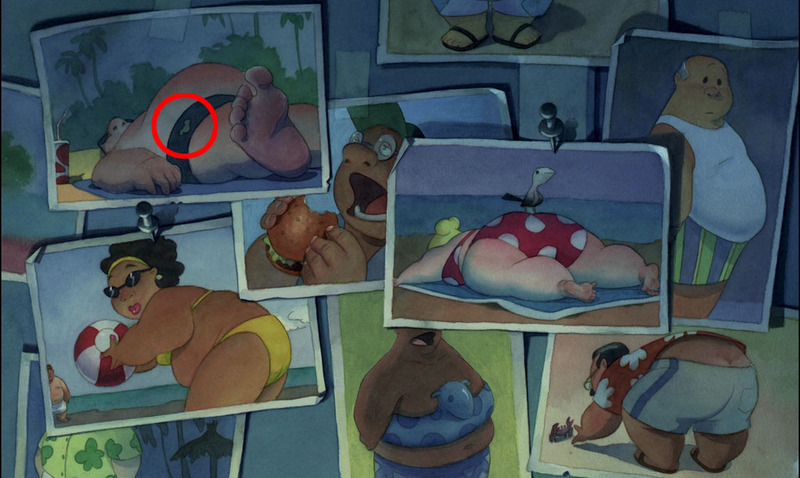 A hidden mickey can be seen on the swim trunks of the guy in the top-left photo. 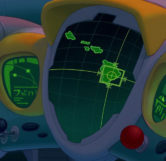 When Jumba attacks Lilo and Stitch’s house, Stitch knocks Jumba out, giving him and Lilo enough time to make a weapon. 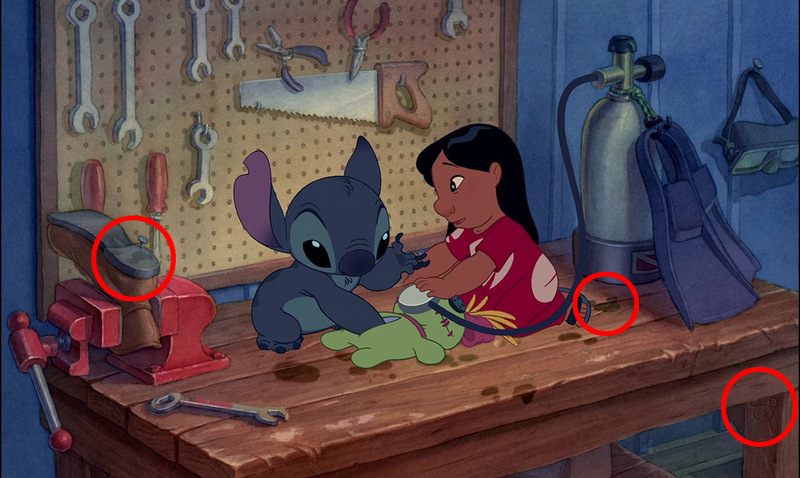 While on the workbench making the weapon, you can see multiple hidden mickeys in the area. 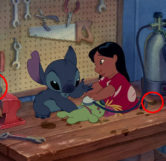 Two appearing as stains on the table and on the bottom of a boot, while the last appears as a carving on the leg of the workbench. 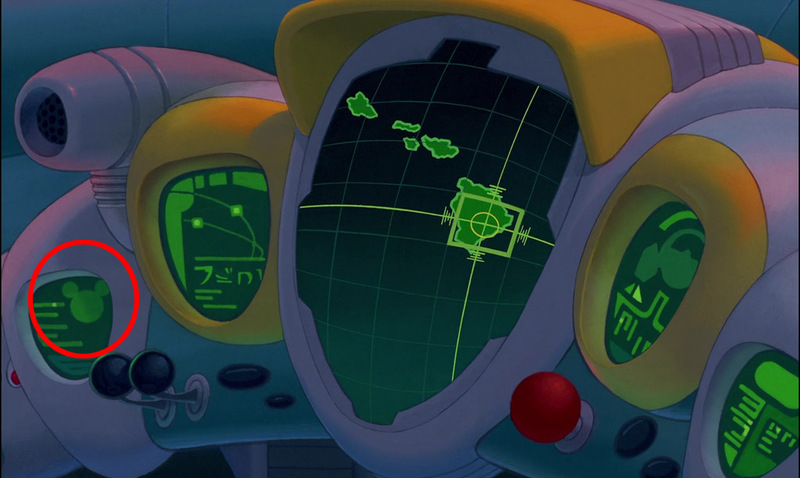 On Captain Gantu’s ship, when we see him zeroing in on Stitch’s truck after he escapes capture, there is a green mickey mouse head on the left side of his dashboard.